O-Rings are large-scale, sensory learning playthings that promote inclusion through play. They are four stackable, soft rings of incremental sizes, and each O-Ring is a different texture, color, filling, and weight. 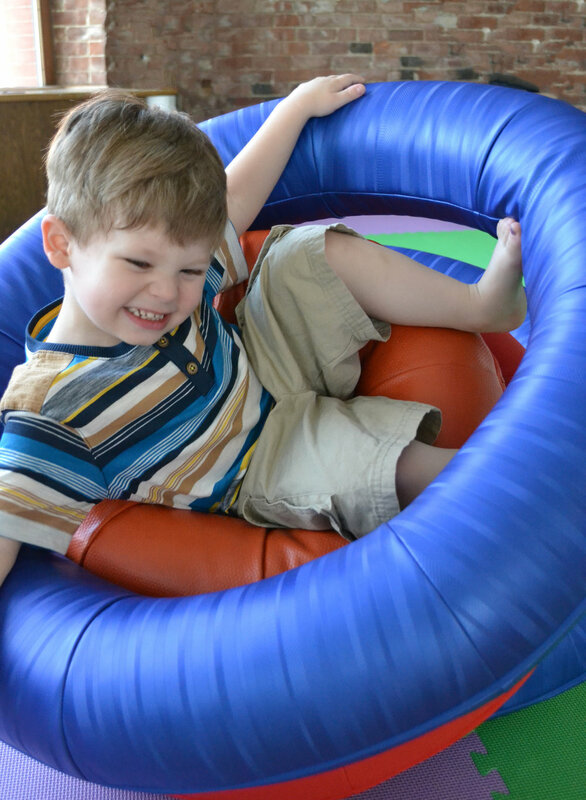 They can be used for seating, building, exploration, and therapy, to foster sensory stimulation, gross motor activities, spatial reasoning, and all types of open-ended play. Made in collaboration with occupational therapists, teachers, parents, and kids, the O-Rings promote inclusion, interaction, and exploration for kids of all ability levels.